Tales were collected over a number of years in the Nandom area (Ghana) among the Dagara people who live in Ghana, Burkina Faso, and Côte d’Ivoire. They reflect the beliefs and values of the Dagara people, and how they relate to the fauna and flora of the West African region. Tales are meant to entertain, but above all they are didactic by nature and help to teach children and adults alike on what is considered acceptable behaviour in their culture. The collection includes a popular tale about a little boy called Yagangnaa. His name means “wiser than the chief”, and he engages in a war of wits with a tyrannical chief and proves to be wittier than the chief. The tales also feature animal characters such as the spider, the rabbit, the tortoise, the donkey, the elephant, and the hyena, among others. Yagangnaa and the hunter are the main human characters. The stories portray character traits such as greed, intelligence, fortitude, malice, hard work, pride, and generosity. Among the Dagara people, though individual valour is acknowledged and rewarded, people are constantly reminded of how their behaviour reflects on the family and the clan, and how their community at large would be judged and perceived by outsiders. Story-telling is a didactic activity and develops children’s cognitive abilities in ways that cannot be achieved through reading alone. One main feature of this collection is the prominence of the trickster figure represented among the animal characters mainly by the spider, the rabbit, and the tortoise, and among the human characters by Yagangnaa and the hunter. Because of the history of slave trade, the trickster figure is also prominent in the folklore of the descendants of Africans in the Americas who inherited the tradition from their ancestors. Paschal K. Kyoore is a Professor of French at Gustavus Adolphus College in Saint Peter, Minnesota (USA). He had his education in several countries: B.A. (Hons) in French/Spanish at the University of Ghana-Legon; M.A. and a Diplôme d’Etudes Approfondies (D.E.A) at Université de Bordeaux III (France); Ph.D. in Romance Languages and Literatures at The Ohio State University (USA); M.A in Public Administration at Minnesota State University-Mankato (USA). He has also studied at the Universidad Complutense de Madrid (Spain). He specializes in French, and francophone African and Caribbean literatures and cultures. He also teaches a course for the Latin American, Latino, and Caribbean Studies program. He is the author of The African and Caribbean Historical Novel in French (Peter Lang, 1996); and Folk Tales of the Dagara of West Africa vol. 1 (Qolins Publishing: Legon-Accra, 2009). His current research focuses among other things on gender issues, and power in African/Caribbean writing. 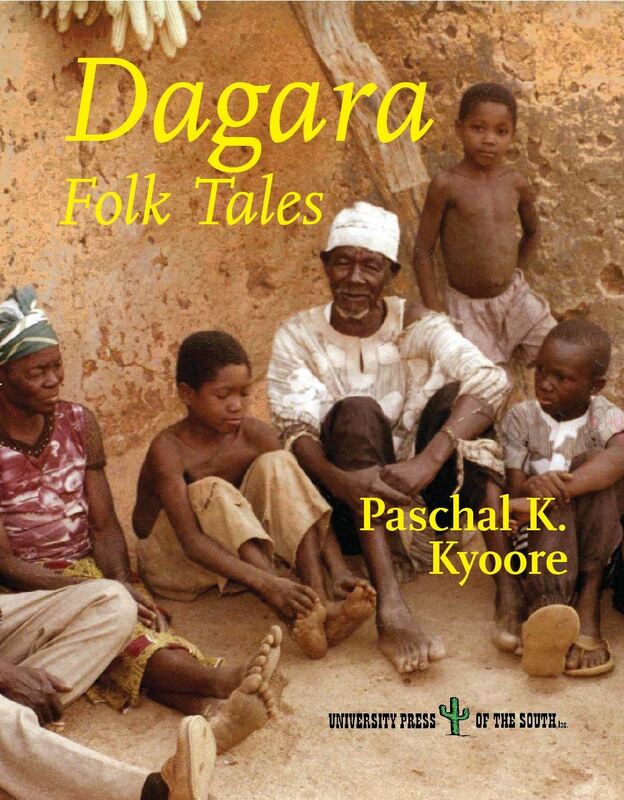 Also, he is completing a manuscript on Dagara folklore entitled Verbal Art of the Dagara of West Africa, with chapters on folk tales, proverbs, riddles, folk songs, praise singing, and xylophonists.